Your German Shepherd Dog is definitely a strong and courageous companion, a true devoted guardian and your beloved friend. 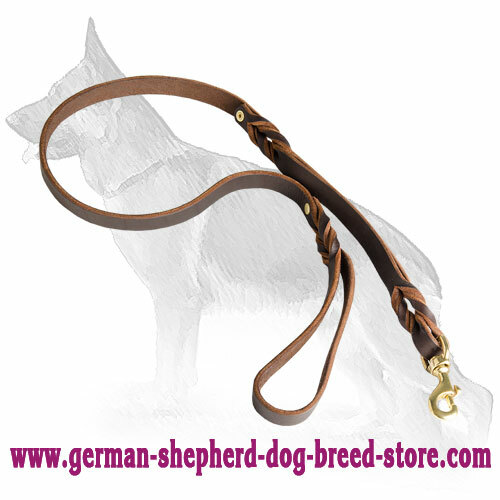 Make an accent on his qualities by purchasing this Astonishing German Shepherd Leather Dog Leash! 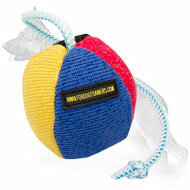 It will provide your dog with everything you need: safety, comfort, style, reliability, high quality. 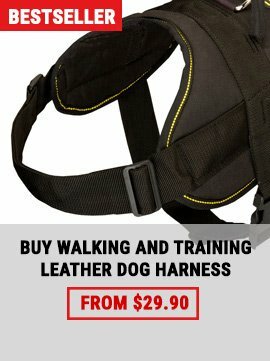 Choose great things for great dogs! 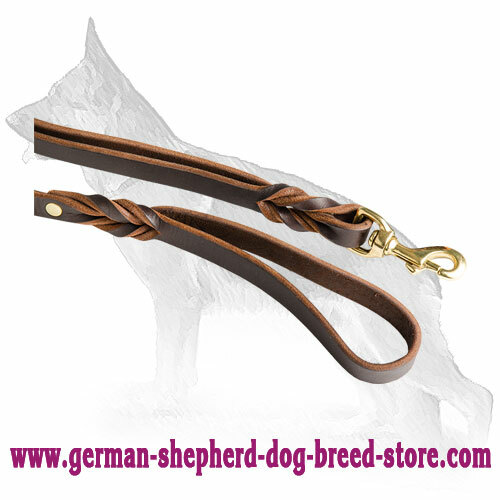 This leash is made of 100% full grain genuine leather. 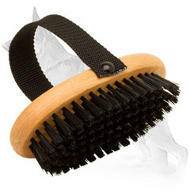 It contains no toxic or allergenic materials and will serve your pet for many years (if you maintain and use it in a proper way, it can serve your dog even longer). 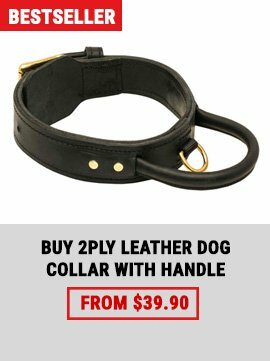 It is decorated with beautiful braids and shining brass rivets so you can be sure that your dog will look stylish while you are using this leash. The qualified craftsmen put the part of their soul in this item, so they were able to create a true masterpiece. 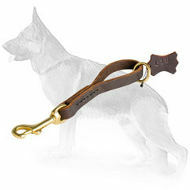 It is a multipurpose leash: you can use it for training, walking, tracking, patrolling or handling your German Shepherd. 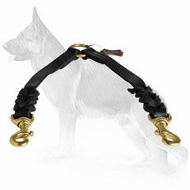 Special brass snap hook will help you to attach the leash to a harness/a collar and reliably fix it. 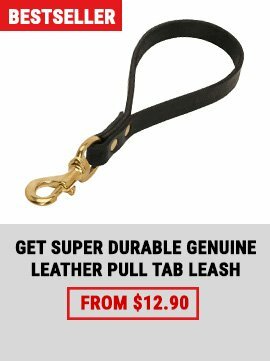 The leash is quite durable and it won’t let you down in a critical moment. 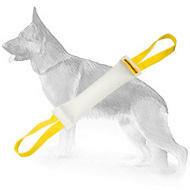 It also has a second handle which will allow you to keep your dog on a short leash and to control him even better!